It is always instructive when a spat occurs in blogs, in which diametrically opposite views are aired. We have seen it over craft, over CAMRA, over sparklers (I must do another post on them soon - I need the ratings) and many other diverse subjects. Most of these sort of stick to the point and there is very little by way of personal insult, though, not always, as there are passionate points of view being aired - sometimes by thin skinned and intemperate people. But on the whole it is all done in the best possible taste, though you'd have to be a pretty dumb cluck not to realise that under all the bonhomie, there is a lot that divides us in the so called "unifying world of of beer." So back to the spat. No avoiding of personal insults here. This starts out as a blogged rebuttal by Melissa Cole about something unkind that our old friends BrewDog said about British Brewing being "closed and unfriendly". This seems to have annoyed Melissa more than a bit and she goes on to rebut this point of view in strong terms. Now you might think she'd just sigh and ignore it wouldn't you? But I bet she feels about her friends in the brewing industry, the way I feel about mine in CAMRA. When you see your friends attacked in a way you see as unfair, you want to jump in on their side . I empathise with her in that respect, though recognising, like in CAMRA, everything in the British Beer Industry is far from perfect. That does need to be said, though it would be far better perhaps, if it was said by others and not our bumptious friends from the North. Like every good pub brawl, others start jumping in. It's worth a read, so I won't go too far in spoiling your fun, but it does seem to this writer at least, that far from being the confident know-alls that they portray, BrewDog are, underneath it all just a teeny bit insecure. They secretly want to be part of it all, but having burned their boats, they can't be, so just go around burning other peoples boats too. You see, to get help and to be liked, you have to be nice to other people - at least some of the time. I doubt that the lack of respect that they have shown to most British Beer makers, with the exception of a chosen few, has exactly endeared them, but they can hardly complain that having alienated everyone, that nobody likes them can they? The British Brewing Industry is a broad church. It covers a lot of ground and the so-called "the liquid cardboard" produced by most, is the drink favoured by the majority of their customers, otherwise they wouldn't buy it surely? It is also somewhat of an inconvenient truth. Nonetheless, I too believe that there needs to be change. When talking about how CAMRA should face the future with one National Executive member, I was struck by the observation that "CAMRA needs to be bolder. It needs to take a few risks." I agree with that wholeheartedly. The thing about all this is that there is more than a grain of truth behind the BrewDog assertion about the staidness of British brewing and yes, CAMRA has played a part in this. On the other hand, from my knowledge of brewers, there is little accuracy in comments about their "niceness." They are unfailingly nice when you meet them. On that subject, BrewDog's own fallibility is pretty well proven too, but on the plus side, they do have a go at the different, even if they are wrong headed at times in not only what they do, but the way they go about it. BrewDog talk about being "exciting and cool" - though bumming about Ratebeer is neither. They also overlook that there is a fine line between being cool and being naff. Now I'm all for the "excitement "bit and "cool" is a part of their image and as mostly generationally inspired, can be overlooked, but one thing is true. As well as the "liquid cardboard", boldness and some more risk taking from a lot of British Brewing would not go amiss. Does brewing fortune favour the bold? Is this another inconvenient truth? Does anyone not think that as BrewDog gets bigger, they will fall into the same conventional trap as all bigger companies and compromise? Does anyone not think the gruesome twosome will not cash in sometime in the future? So now that beer festivalitis has temporarily left me, I can return to the normal world of beer. Saturday saw a pub crawl of Manchester, though unfortunately I missed out on the start at the Port St Beer House, which I like. It was a change from the usual haunts and I was delighted to note excellent beer quality in the Crown and Kettle, the Castle, the Soup Kitchen, the Piccadilly and the Bank. Not every beer was to my taste, but I certainly couldn't complain about the condition or temperature of any. That's a good thing and I will return to this theme of quality much more in the future. Top beer of the day? Well a half of Old Tom was sublime in the Castle. I'm not a fan of Robinson's beers, as I consider the house yeast far too dominant, but a beer such as Old Tom can push that into the background readily enough. On cask and 8.5%, it was probably the pick of a decent day's supping and certainly debunked the myth that you can't put strong beers on cask. One issue did come up. Jaipur was on in the Bank and once again it failed to hit the mark. Overly sweet and sticky, it just didn't appeal to me or any of my drinking companions and while it may be hitting the spot still for some, I'll be approaching it with much more scepticism than previously as I just don't seem to get a good pint of it and haven't for well over a year. Returning to the issue of quality, I have become aware of - or rather, been reacquainted with - a fairly widespread problem of pubs that aren't thriving, buying beer in cash as they go along, with many resulting quality problems, such as green beer, hazy beer and beer that has dropped bright, but has not yet conditioned. This affects many pubs and I was advised at NWAF that Adnams are countering this problem by conditioning their beer for longer in the brewery before releasing it. Other brewers may be doing this too or thinking about it, but it is a widespread problem, often affecting tenanted pubs of small regional brewers and is a hidden but pernicious aspect to the doubtful viability of some pubs. The brewery knows a pub is in trouble when the dray order is dropped and the beer is being bought for cash. Alarm bells clang loudly. Next time you get a duff pint in a brewery owned tenanted pub, consider if you can, that it may not have been presented as the brewer intends for reasons other than cellar incompetence. Bar the shouting (mostly internal) National Winter Ales Festival is over. It was stressful, but hopefully successful and dealing with the myriad problems thrown up by the venue, the public and the staff reminded me of work, but not in a good way. The public as we know are strangely fickle, but I have to say were mostly a delight. CAMRA members have many qualities and strengths, not all of them immediately apparent, but boy do they work hard. The ones that work at NWAF are dedicated and selfless, but nonetheless, it is all a bit like herding cats, bless 'em. But we got it all done after a fashion and hopefully everyone got something out of it. Things don't stop though. Apart from the post mortem of NWAF which I'll chair, as the Organiser is buggering off to New Zealand for over a month, we'll have Oldham Beer Festival for my own CAMRA Branch at the end of April. We must love it really. My favourite beer? Hmm. Not sure but I doubt if Liverpool Organic's various efforts were surpassed by many. It starts today and runs until Saturday night. I'm very much involved, hence my radio silence. Do come along. It will be great! While in Leeds on Christmas Eve, I took my wallet in my hands and nipped into Zak Avery's shop for a quick peruse. I bought four bottles and had a chat with Ghost Drinker, who seems a very nice chap. All the more so since he recognised me first, though fair enough, I did have an "I am Tandleman" T shirt on. Two of the bottles remain undrunk and will be saved a for a couple of months, but since they are Schneider Hopfenweisse and are pretty strong, I have no fears for their subsequent drinkability. The other two were from Thornbridge. The first, their Koelsch tastealike, Tzara, described as a Koeln Style Beer and the second, the so very drinkable Kipling. 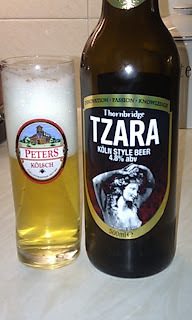 Apart from a bottle of Jaipur when it first came out, I don't believe I've ever had a bottled Thornbridge beer before. Now Koelsch is a beer style I like to think I know a little about, so how does Tzara measure up? Pretty well actually. It has the appealing freshness and clarity of taste that singles good koelsch out, though perhaps, perversely, it is a little bit too good, being what Koelsch ought to be rather than what it usually is. Nonetheless it is a great beer, not over carbonated, smooth and tasty, with just that hint of fruitiness and that noble German hop finish that should mark it out. And does. Overall I wouldn't mind buying a few of these again if I could get them locally at a decent price. What about Kipling. Again it is the clarity of taste that appeals. Full of tropical flavours and each one pin sharp in a beer that translates brilliantly to bottle. If you want to know more, buy a pint of Kipling, or purchase a bottle with confidence. Well worth the money spent I have to say. Someone at Thornbridge has got this bottling game cracked. OK I only had two samples, but boy were they good. They know their stuff there. They have great brewing skills and technique, bring out some tremendous beers and just quietly get on with doing it, which makes me admire them even more. Have they sorted out cask Jaipur yet though? Congratulations too to Beer Ritz, for selling such lovely fresh bottles. 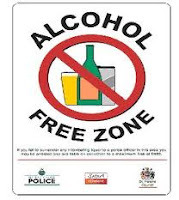 The latest advice on drinking now includes having a couple of alcohol free days a week. While not keen on much of the nanny stateism that comes from the likes of Ian Gilmour, this is a perfectly sensible suggestion I'd say and something I have been doing all my drinking life. In fact I aim (not always successfully) for three. The term AFD (Alcohol Free Day) is weel kent in Tandleman Towers. 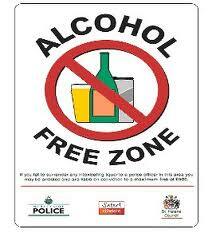 While nobody in their right mind believes the government's safe drinking limit, it seems an easily achievable and sensible precaution to me. The liver far from being evil, is kind of a necessity I believe. 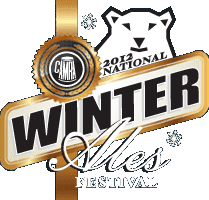 Holidays and National Winter Ales Festival are excepted from the above of course. I was also amazed to hear Gilmour say that having a couple of AFDs is a good indicator that you are not alcohol dependent. Well I never. We talk a lot in these blogs of ours about this and that. Often though we return to old favourite topics like CAMRA and its role. I am often seen defending CAMRA, but I like to think I take a pragmatic view of the issues, though of course, for me at least, supporting quality real ale is a given. A couple of days ago, I set a scene as to what I think motivates CAMRA in its dealings with Craft Keg and how I think CAMRA sees the subject contextually against its role in promoting and protecting real ale. I mentioned that for us, the battle to ensure real ale survival will never be won as such. We will just have good times and bad times - ups and downs. I also mentioned in the same blog piece, the new wave of keg beers and beer bars and the resurgence of London as a beery city. These are important to bear in mind. There is change in the air and everyone in the UK beer industry needs to have a think about how they perceive that change, how it affects them and what opportunities it might bring. We have talked here too, and in other blogs, about how all this fits together and tried, often unsuccessfully, to plot a road ahead. CAMRA, as an important component of the British beer scene is looking at it too and I'm part of a small working party reporting to the National Executive on the subject. We are in the process of formulating ideas and I'd like to hear your views against the background I have set out. While we haven't fixed our remit in stone yet, it is along the lines of "How should CAMRA react to the growth of craft beer and specifically to the small but growing craft keg sector?" Bloggers have a genuine chance here to contribute to my input on the working party on a subject that has already caused a lot of debate within this blog. I hope that as many of you as possible take it up. Remember too, it isn't just me you need to convince, so please think your arguments through. For a man that shuns publicity, Humphrey Smith, Managing Director of Sam Smith's Tadcaster Brewery, doesn't half manage to attract it. Some will recall his spat over the use of the Yorkshire Rose with Cropton Brewery and others may remember another ding dong with a licensee who was locked in the accommodation part of his pub following a dispute with the brewery and had to hire scaffolding to exit and enter via his bedroom window. All great knockabout stuff. I am grateful to one of my CAMRA members for alerting me to yet another exhibition of oddballery. It seems Humphrey himself, to quote the dear old Oldham Chronicle turned up at a local Royton pub on New Year's Eve and closed it down pronto. "Staff and customers were stunned when one of the multi-millionaire owners of Samuel Smith’s Brewery (Humphrey) walked in and shut down Royton’s Junction Inn at 8.30pm on New Year’s Eve." According to the Chron, this was the culmination of a row over full measure pints. That is serving them, not for not doing so. Sam's, (as I observed last night by reading the brewery signs on the wall in a different Sam's pub,) have a policy of serving 95% liquid and a creamy head and offer requests for a top up only if spillage over the glass can be avoided. Given that most Sam's pubs offer nitrokeg beer, that might be tricky. In my case I was given a pint of Dark Mild with an inch and a half of head and a half pint glass with a smidgin of beer which I could then use to top up at my leisure. 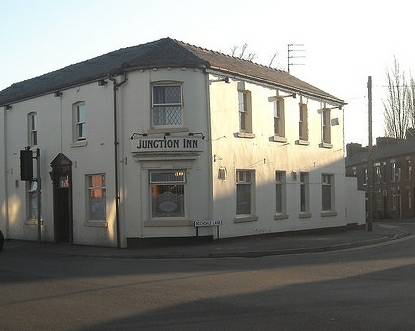 I won't name the pub though, in case Humph takes the hump and knocks on their door too. It seems though this is the nub of the problem in the Junction, though of course there may be more to it than meets the eye. Things aren't always what they seem. I can't put Sam's side of the story though. The Chron obligingly tells you why: "The Chronicle contacted Mr Smith yesterday who said “we have nothing to say” before hanging up. The wonderful Oldham Chronicle has the story in full. My pint of 3% smooth mild cost me £1.19 last night. Yes. £1.19. If that is being achieved though by causing ructions with licensees, I'd rather pay a few pence more. Just a thought. A Slow but Steady Decline? is my blog starting to mirror the British Beer Industry's slow march downhill - in volume terms at least? A pattern is emerging and though like a strong keg beer drinker, I could claim quality over quantity, I won't. So loins girded, I better get my arse in gear this year. The year just gone has seen an expansion - some call it an explosion of craft beer bars. Explosion would probably be pushing it. It isn't even an explosion in London given the size of it and the relatively small numbers, though London is at last awake and thinking of beer. This trend in London will continue, as that's where the numbers are and more importantly, that's where the money is and it is a good thing. It is too where the momentum is. Craft beer bars will push the envelope in other places, as there is money to be made there too, but they will be limited by population and by lack of such well padded wallets. They will appear though and provide choice. Choice, repeat, is good. So, if it is such a good thing - and it is in my view - why all the fuss about CAMRA and its attitude to keg beer? Shouldn't CAMRA be praising and supporting it all? To some extent it does. Long since forgotten by many, but among CAMRA principles is the promoting of choice. So, to that extent, there can be little against what is happening now can there? Well, as always it isn't as simple as that. 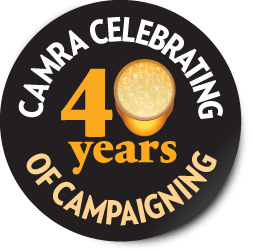 The reason why CAMRA campaigns for real ale - cack handedly at times admittedly - is because CAMRA fights to protect the availability of live beer in the UK. 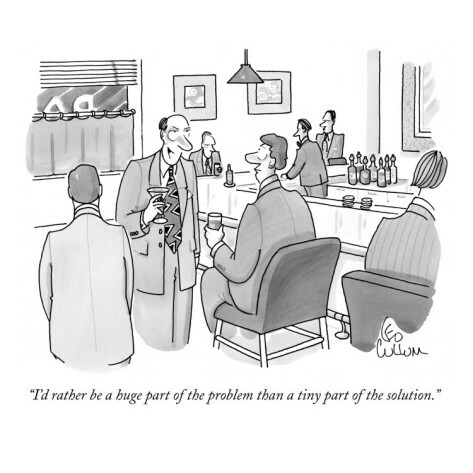 It doesn't, or maybe that would be better as "shouldn't" (and some members need to be reminded of this) fight against other beers or dispense methods, except where that limits choice. Hang onto that choice thing. It is important. The better amongst these new bars (and sometimes pubs) the Port Street Beer Houses, Euston and Sheffield Taps and the Crafts of this world, mix easily the two genres of imported expensive bottles, keykeg versions of stronger British beers and well chosen and more reasonably priced cask, and are a delight to drink in. The arguments about which type of beer is better is not really relevant there and drinkers mix easily and happily and switch from one to the other as they see fit. Nothing at all wrong with that. In fact quite the reverse. It isn't all that new either, as bars like, say, Fringe in Manchester have been doing it unsung for years, though of course with imported keg products, the British alternative, simply being unavailable. "But the fight for real ale is won" I hear you cry. Well no. Cask beer is a niche drink, albeit a pretty big niche, but to maintain it there needs eternal vigilance. While cask beer may have an ascendency and CAMRA have a large and growing membership, we must always recognise that like any niche product, real ale is under threat. It is a live and perishable product and that makes it vulnerable to quality issues and the convenience of keg. Also, most of us in the Campaign can remember when we didn't have hundreds of breweries, when choice was hugely limited, when keg and cask were sold through identical pumps, when cask beer took a huge downward turn after the beer orders. We don't want these times again and that's why we fight to protect our kind of beer. I'd hazard a guess that it is why CAMRA has both a growing membership and an increasing retention rate. Despite JDW vouchers (most of which are never used), it is that feeling of supporting something you intrinsically believe in, as you have a sneaking suspicion, that it might disappear if you don't, that results in retention being so high. Boak and Bailey talk about "thin end of the wedge" in somewhat mocking tones, as if such a thing doesn't exist, or is an imagined bogey man. In the meantime, two producers of excellent cask conditioned beer have announced they will no longer do so. While you can disregard BrewDog and Camden as minnows, they are influential enough to some drinkers and very well thought of by others - well Camden is anyway. That alone should set alarm bells ringing. They are choosing, as is their right, to restrict what they produce, despite these products being beers that sell well and have a keen following across a broad spectrum. Is that the thin end of the wedge? Will Hardknott, SWB and others follow? Would that be the thin end of a wedge? These two cases, small though they may be, illustrate why you can never take real ale for granted. This isn't a peon of praise or support for CAMRA though some will think it. It is a genuine attempt to explain some of the rationale. Inevitably though some responses will be to attack CAMRA, but I'd like you to think more widely about this and watch my blog for a further posting in which you can help CAMRA's thinking on both keg and craft beer. Things are afoot and I'm a part of it, so rather than knee jerk anti CAMRA reactions, have a think about it all. Remember what I said about choice and not taking things for granted? Of never assuming that fight for choice is won. It is important to us in the Campaign to protect our unique cask conditioned beer. We believe in it and we don't and won't ever assume that it will always be there. It influences greatly how we think. This, is as always just my thoughts on the subject and my take on CAMRA policy.